Carlos Gomez died at a hospital following the 4:45 p.m. crash on Hadley Street near Court Avenue, Los Angeles County Department of Medical Examiner-Coroner Assistant Chief of Operations Ed Winter said. “Sad news today RIP Carlos,” wrote one user. “What a sad loss! !,” posted another. COVINA >> A police officer rescued a 63-year-old woman as she was being attacked by three large German shepherd dogs in her front yard Wednesday morning. A neighbor called police about 8:50 a.m. after seeing the three dogs attacking the woman in the fenced front yard of her home in the 1400 block of East Covina Hills Road, Covina police Lt. Tim Doonan said. “An officer observed a female being attacked and bitten by three large dogs in the front yard of a residence,” Sgt. Gregg Peterson said in a written statement. The officer approached the animals and began yelling in an effort to divert their attention from the victim, Doonan said. The dogs then began charging toward the officer. The dogs were not struck by the gunfire, officials said. The woman suffered puncture wounds and scrapes to her arms and legs, officials said. She was treated at a hospital for non-life-threatening injuries and released later in the day. Doonan said it was fortunate the officer was able to prevent more serious injuries. “We’re happy that a neighbor heard her screaming, and they called, and we were able to respond quickly,” he said. Officers found all three dogs in a nearby yard, Peterson said. Police kept them there and summoned County of Los Angeles Department of Animal Care and Control officials to take charge of the animals. A “potentially dangerous dog” investigation has been initiated, said Danny Ubario, manager of the agency’s Baldwin Park office. Several citations and orders to correct violations were issued, however Ubario said he did not have further details. In the meantime, the three German shepherds — a male, a female and their puppy — were being quarantined on the owner’s property. Once the DACA investigation is complete, the owner of the dogs may face a hearing to determine what steps are necessary to correct the problem. WHITTIER >> A truck crashed into a utility police in Whittier Wednesday, causing no injuries but prompting the all-day closure of a portion of Pickering Avenue to accommodate repairs, authorities said. The crash took place about 8:30 a.m. on Pickering Avenue, just north of Camilla Street, Whittier police Lt. Bryan Ellis said. The driver lost control of his northbound box truck and struck an electric pole, shearing it from the ground, Ellis said. The pole remained precariously upright, supported only by the power lines. The driver suffered no injuries in the crash, and nothing criminal was initially suspected, Ellis said. Officials shut down Pickering Avenue in both directions between Camilla Street and Pasadena Street as Southern California Edison workers repaired the damage, police said. It was unclear how long the closure would remain in place, though it was expected to last through much of Wednesday. 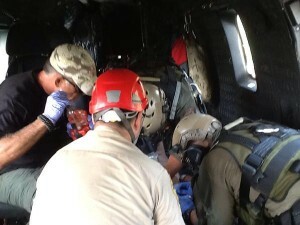 ANGELES NATIONAL FOREST >> Rescuers pulled a family of four from the wreckage of a car that went over the side of Angeles Crest Highway in the Angeles National Forest Sunday, including a 12-year-old girl who was resuscitated after being found pulseless, authorities said. 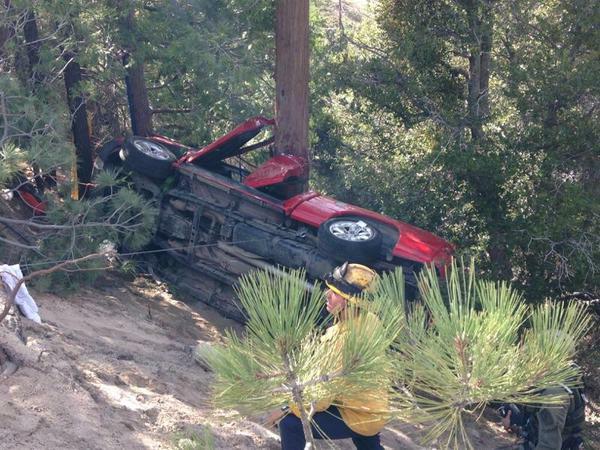 The crash occurred about 2:30 p.m. near mile marker 53 of Angeles Crest Highway, just north of Santa Clara Divide Road, deep in the forest above Altadena, according to California Highway Patrol logs. CHP officers, Los Angeles County sheriff’s deputies, county firefighters, U.S. Forest Service officials and members of the Montrose Search and Rescue Team responded to the crash. Rescuers used a helicopter to take the four patients to a trauma center. The 12-year-old girl, who appeared to have suffered the worst of the injuries, was resuscitated after initially being found without a pulse, Los Angeles County sheriff’s Sgt. Chris Hofemeister said. She was rushed into surgery Friday afternoon. The conditions of the three other occupants of the vehicle, described as a man, a woman and another child, were not available. Officers from the Altadena area office of the CHP are handling the investigation. PASADENA >> An 86-year-old Pasadena man suffered major injuries when he was struck by an alleged drunken driver while crossing the street Saturday, officials said. The collision took place about 5:40 p.m. as the elderly man was crossing Villa Street, legally, at Madison Avenue, Pasadena police Lt. Mark Goodman said. As the victim made his way south across the street, he was struck by a passing vehicle being driven by Marcos Lopez, 40, of Pasadena, the lieutenant said. Lopez was booked on suspicion of DUI. According to county booking records, Lopez was being held in lieu of $100,000 bail pending his initial court appearance. EL MONTE >> Police arrested an allegedly drunken driver early Sunday after he led police on a chase from Baldwin Park to El Monte with his wife and children in his pickup truck, ultimately crashing and seriously injuring two family members, authorities said. Saul Capetillo, a 27-year-old parolee from Los Angeles, is accused of drunken driving, evading police, child endangerment and hit-and-run following the pursuit, which began about 1:34 a.m., Baldwin Park police Sgt. Shawn Blackburn said. Capetillo’s wife and 6-year-old daughter were critically injured in the crash, the sergeant said. The young girl was thrown from the wreckage. No one inside the truck was wearing a seat-belt. He and his 9-year-old son remained hospitalized Sunday afternoon with injured not believed to be life-threatening, Blackburn said. 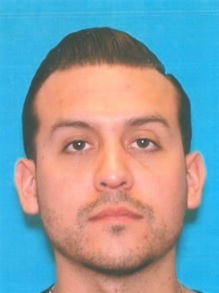 The chase began when an officer tried to stop Capetillo’s Chevrolet pickup truck for driving recklessly in 13300 block of Ramona Boulevard, the sergeant said. The truck quickly made a U-turn and sped away. The truck crashed into another car at Ramona Boulevard and Francisquito Avenue before continuing on into El Monte, Blackburn said. The woman at the wheel of the car suffered apparently minor injuries. Police continued chasing the pickup truck as it crashed into about six parked cars at Gillman Road near Kerrwood Place, officials said. “It went airborne and flipped,” Blackburn said, throwing the young girl from the wreckage and brining the pursuit to an end. Capetillo, who is already on parole following a previous felony conviction, was yet to be booked Sunday afternoon as he remained hospitalized. COVINA >> A Covina congregation offered special prayers and blessings Sunday for police, firefighters and others in harms way during a small but heartfelt special mass to honor first responders. It was the third annual first responders ceremony hosted at the Holy Trinity Episcopal Church at 3rd Avenue and Badillo Street, with a strong showing from Covina police, including the family of fallen Covina police Sgt. Scott Hanson. Parishioners also reflected on the sacrifice of Covina police Officer Jordan Corder, killed in an on-duty motorcycle crash less than a year ago on Sept. 30. Led by the Rev. Steve De Muth and the Rev. 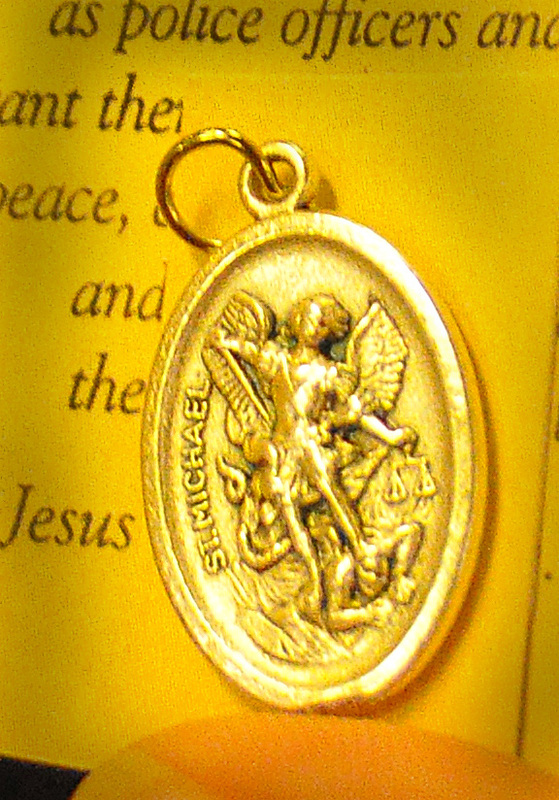 William Peyton, the parish asked God’s protection and guidance for those who stand in watch over society. 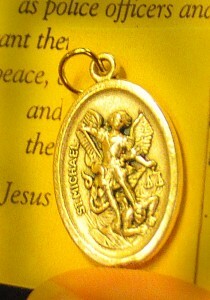 He likened the role of first responders to the biblical watchmen. “Did you know that when an officer dies, they say his watch has ended?” De Muth said. De Muth also called on the congregation to pray for firefighters and all other first responders who regularly risk their own safety to protect others. 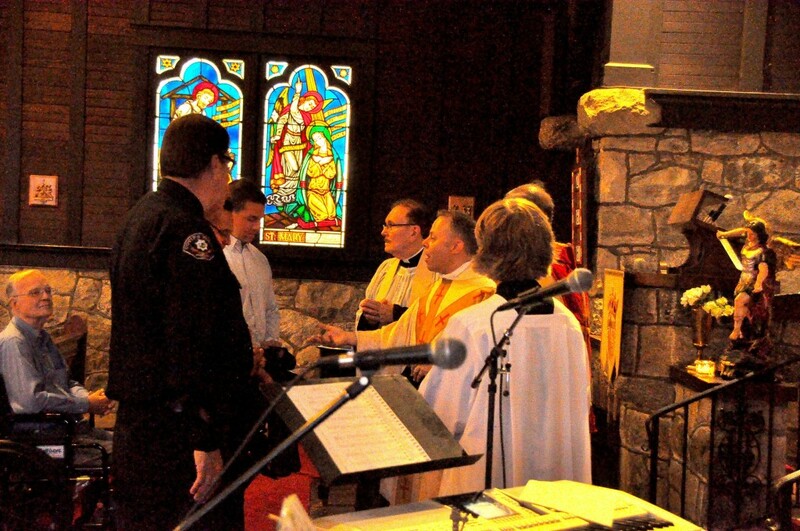 Police officers lined up to receive a blessing from the priests. Several offered up their duty belts to be blessed as well. Officer Hanson’s widow, Allison Hanson, attended the ceremony with her children Sarah and Andrew. Andrew has followed in his father’s footsteps. Having recently graduated a law enforcement academy, the young police officer is now undergoing training with the Glendale Police Department. Allison said she and her family are grateful for the ongoing show of support from the community. “To have the department here, and the city, and our family, it’s pretty amazing,” she said. Sunday’s ceremony coincided with the church’s Feast of St. Michael of All Angeles, De Muth explained. Following Mass, the church presented attending officers with certificated of appreciation and medallions depicting St. Michael, known as the patron saint of first responders. 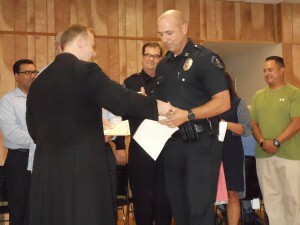 “What a blessing it is when our church communities come together to raise up our officers — those who, as Father Steve said, stand watch on our behalf. And we’re so thankful,” Covina Mayor John King said. INDUSTRY >> A man was found hanged in the San Gabriel Riverbed near the 605 and 60 freeway interchange Saturday afternoon in a what was being investigated as a suicide, authorities said. A passer-by discovered the body of a 44-year-old El Monte man about 1 p.m., hanging from a tree in the riverbed near Pearson Avenue and Pellissier Road, in an unincorporated county area just outside of Industry, Los Angeles County sheriff’s and coroner’s officials said. The man was pronounced dead at the scene, coroner’s Lt. Fred Corral said. An autopsy was pending, however there were no signs of foul play, and the death appeared to be a suicide, officials said. 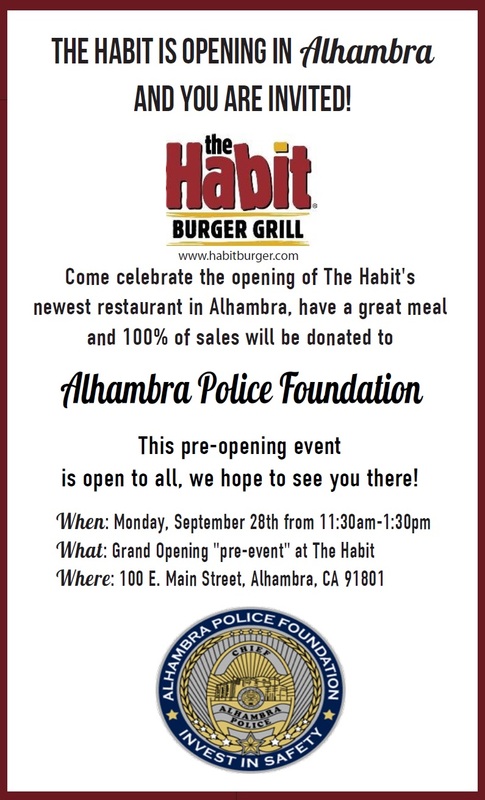 ALHAMBRA >> The new, soon-to-open Habit Burger Grill location in Alhambra is hosting a pre-grand-opening fundraiser Monday to raise funds for the Alhambra Police Foundation, officials said. The newly built restaurant at 100 E. Main Street, will open its doors from 11:30 a.m. to 1:30 p.m., with 100 percent of proceeds benefitting the APF, according to Alhambra police Lt. Jennifer Wiese. The APF is designed, “to raise funds to support and enhance innovative programs, projects, activities, training and equipment for the Alhambra Police Department that improve public safety and services to the community,” according to the foundation’s website. PASADENA >> Gunshot rang out near La Pintoresca Park late Friday, but police found no victims connected to the shooting, officials said. Police received reports of “shots fired” and a group of people running about 9 p.m. at the east side of the park, along the 1400 block of North Raymond Avenue, Pasadena police Lt. Mark Goodman said. Officers canvassed the area and discovered several spent handgun-caliber bullet casings, but no victims or witnesses, the lieutenant said. A check of area hospitals also turned up no signs of any gunshot victims injured in the shooting, he said.